BEIJING — For the past few years, the hutong area in downtown Beijing has become a new territory for experimental art spaces with the aim of establishing a different, participatory relationship with the viewers and the local people. 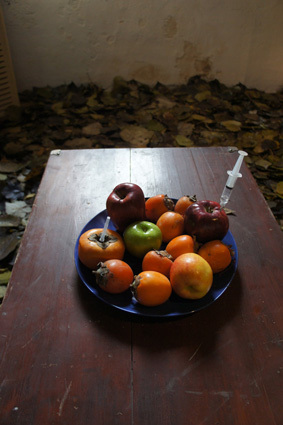 In April 2011, Zajia Art Lab, run by Italian sinologist and curator Ambra Corinti, opened in two rooms of the former Hong En Taoist temple. Located near the Bell Tower food market in the Gulou area, Zajia hosts all kinds of experimental art, including music, performances and fine arts. 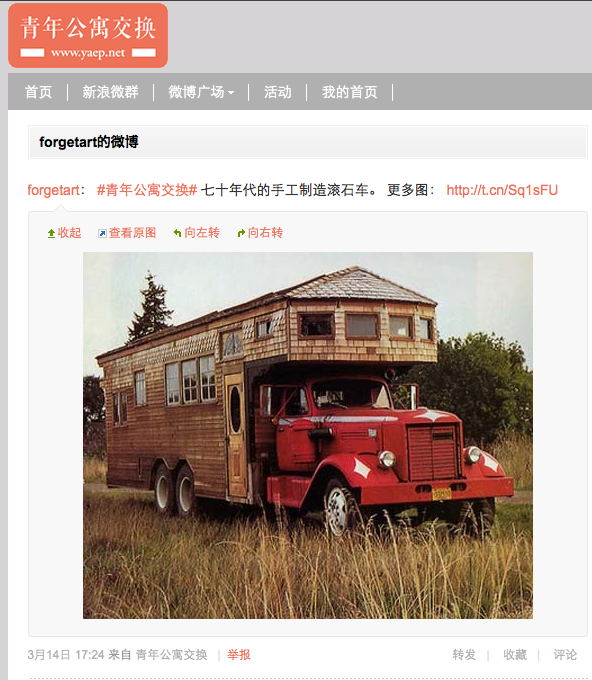 A recent project was commissioned to the collective Forget Art, created by artist Ma Yongfeng. The collective has been active for the past couple of years doing micro-installations and site-specific interventions outside gallery spaces. The six artists involved transformed one of the rooms into a crepuscular vision of art and life. There were Buddhist figures carved into big white radishes, a dragon made of cabbage and a still life with poisoned apples and persimmons. The floor was covered with fallen leaves, while, suspended between the two main pillars, was drawn a red and white propaganda banner in the style of the Cultural Revolution, carrying the English version of the Chinese proverb “May your matters be safe.” The sentence is a play on words with the Chinese words “apple” and “persimmon.” A heavy stone was hanging from a chain attached to the central beam, and a pretty Chinese hostess in executive clothes provided incoherent introductions to the artworks for the public. In the room next door a video, shot the day before, showed interviews with all the artists, some of them naked, in an atmosphere reminiscent of a Delacroix painting. The show, titled Not Only a Taoist Troublemaker, leaves behind a sense of tragedy and loss; the temple, that, for a while, was also a factory, a market and a mahjong playhouse, has been abused by the same means that once made it fertile. Artist Wu Yuren beneath a hanging stone. Fruits and vegetables lie silent together with the fallen leaves and the banner warns you of an omnipresent danger. The nice smell and the vivid colours are less convincing than their possible double meaning — decay and poison — while the hanging stone creates a threatening tension. One of the artists, Wu Yuren, spent two hours underneath the stone, creating a powerful image about the condition of the free thinker in Chinese society. “It’s like if there is some kind of danger underneath the carpet of leaves, some hidden trap … ” A Chinese art student commented after seeing the intervention. Turning towards nature and asserting spontaneity, Forget Art proves a fresh, non-conformist, attitude towards making art, but the melancholia in this work seems to suggest also a different message: certain contemporary artists in Beijing are disillusioned about the façade of the new China and they are starting asking “naked” questions to everybody, not just to the art world.